The Calgary Zoo is a wild place- literally! We love conservation at the Calgary Zoo- wild horses couldn’t drag us away! The Calgary Zoo is a wild place- literally! The zoo’s property isn’t just restricted to the island and surrounding area, but also includes the Devonian Wildlife Conservation Centre, which is a conservation property outside of the city of Calgary. Not open to the general public, the DWCC is home to at risk species, allowing zoo staff to operate many successful breeding programs. Of the species located at the DWCC, whooping cranes, Vancouver Island marmot and others are cared for in the effort to help repopulate their species’ delicate numbers. One of these species is the Prezwalski’s horse- the only legitimate species of the horse that is truly ‘wild’ in the world today. 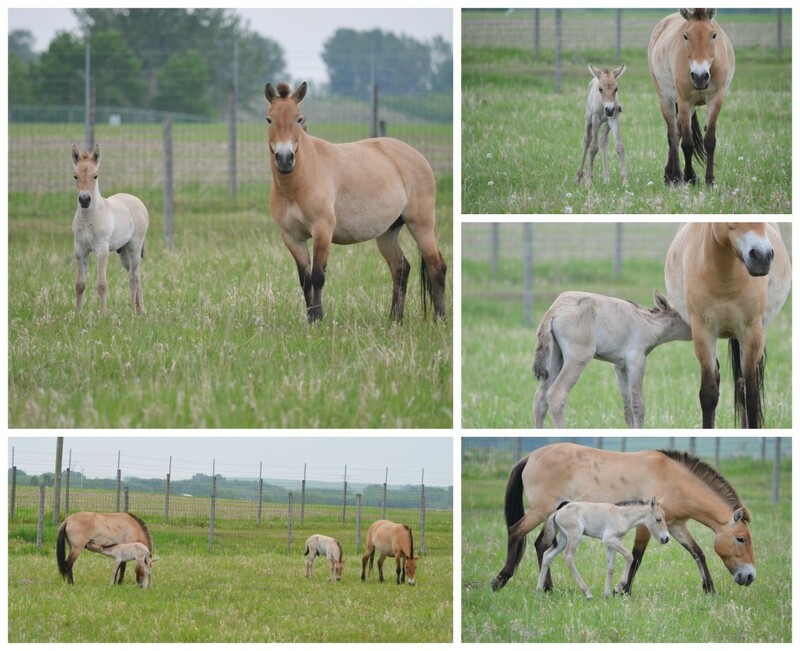 Also known as Mongolian wild horse, and the Asian wild horse, this mammal is one of the few species in the equine family that scientists believe is closest related to the horses of years ago. Stockier and larger than the average domesticated horse, these horses are solidly built. The ‘P’ horse (as it is nicknamed), has a soft spot in the hearts of the Calgary Zoo staff. These horses have personality! Since they historically have never been domesticated, the zoo staff handle them as little as possible- these horses are not inclined to be people friendly. 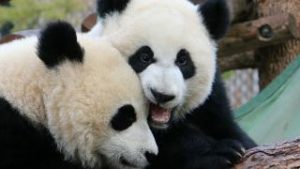 Instead the zookeepers give them space in their habitat, and let them develop their natural relationships with each other as much as is possible. However, they are very helpful- the DWCC staff rotate them through enclosures on the property because they are so talented at keeping the grass trimmed! Tough by nature, this wild horse is very strong, and confident- they know how to handle themselves! In the winter the DWCC Zookeepers give the horses the option to come inside from the cold, but often the horses will choose to stay outside- their Mongolian bloodlines have prepared them well for the cold Calgary winters. When the cold weather has left, it’s time for foals to be born- and this year we are pleased to have had two new colts! Named Vesuvius and Voltaire, these tough babies were walking within an hour of their birth, and are already making themselves right at home! With two stallions, a gelding, and three mares to welcome them, our current wild herd is growing strong. Learn more about our different conservation work here.